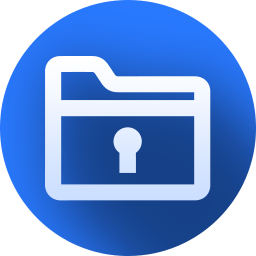 Sketch Drawer 4.2 was available as a giveaway on December 20, 2016! Sketch Drawer is a kind of photo editing software tool intended for converting photographs to pencil sketches. This program enables users to turn usual photographs into exquisite pencil-drawn pictures, both black-and-white and colored. While creating a pencil sketch, you can choose your most preferred settings and options. 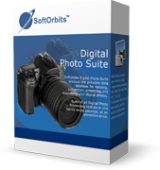 There are two ways you can edit photographs with SoftOrbits: manually and by aid of ready-made presets. These presets can be used as guides by beginners. How would you improve Sketch Drawer 4.2? Turn your digital snapshot into a perfect postcard! Be it a passer-by, a hanging wire or just an unwanted shadow, you can make your picture free of distracting objects with ease. Remove unwanted objects in just a click! 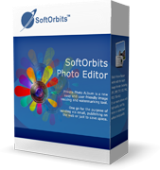 SoftOrbis Photo Editor will help you selecting the whole object and re-create what’s beneath it, producing a clean, perfect postcard free of blemishes and distractions. I just downloaded Sketch Drawer 4.2 from Giveaway of the day. Your program has one major flaw in that the resultant sketch image has an area in the centre, where the preview was which is different to the rest of the sketch. I will not be using this program unless you can organise a fix. I am glad I didn't pay for it. I just downloaded Sketch Drawer 4.2 from Giveaway of the day. Your program has one major flaw in that the resultant sketch image has an area in the centre, where the preview was which is different to the rest of the sketch. I will not be using this program unless you can organise a fix. I am glad I didn't pay for it. I keep getting a runtime error (at 19:411): a connection with the server could not be established. What now? I can recommend Mediachance's Dynamic Autopainter version 5. Wow ! It costs though, but it is an incredible cool piece of software. You have many different art styles, and You can even combine them. Really? Installed this under my admin account on the system so my daughter can try it, registered fine, go to her limited account, "not registered" will not accept the code, she cannot do anything with it, really? Uninstalled. I have tried it on jpg, png, and gif files. In 10 attempts, it crashed 9 times and closed. It took longer to activate than the time it actually worked. Waste of my time. I recommend Twisted Brush. This program is awesome and does so much more. NO EMail sent for activation, been waiting an hour. Barney Rubble, I got the mail and code right away (like 10 sec.). Did you check you spam folder? This is normal experience of many users of giveaway software by SoftOrbits. After a while, you learn what to avoid. 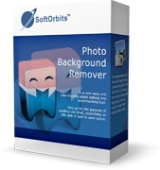 Jim Curry, This is normal experience of many users of giveaway software by SoftOrbits. After a while, you learn what to avoid. Jim Curry, The problem with soft Orbitz is that when you activate a new program all your other soft Orbitz programs become trial programs. Apparently, which ever program you activate last is the one you have until the next activation. Then all your programs go back to trials. Sadly, I avoid soft Orbitz like the plague. They have some great programs but it isn't worth the uncertainty or grief. Jim Curry, They made the same stunt with Privacy Protector. Never ever count on, Softorbits*, giveaways are anything else than a short termed trial. ric, thanks for the reply! Allan , thanks Allan! appreciate the message! Today's developer did itself no favors with software which on install re-set any SoftOrbits products already in existence on a user's computer and de-activated their licenses. SoftOrbits never offered a credible reason why. If things have changed, then good. Less than good, however, is the commercial proposition of Sketch Drawer as a retail product. Thoiron's pioneering "artwork-for-amateurs" software was developed for his own use and for any happy amateur with a similar interest. Its success probably surprised even him, because many an art department professional has been captivated during its decade-long evolution, especially as Thoiron has never put any restriction on its commercial usage. As with SoftOrbits' Sketch Drawer though, so, too, with Thoiron's FotoSketcher; you are going to be contending with time spans of minutes, not seconds, with unique creations progressively worked up from the digital palette there on your desktop, not one-click instant transformations. Your computer's capabilities, as well as the source material and what you're seeking to do with it, need always to be borne in mind. I tried out a previous giveaway of today's software only to uninstall it because it didn't as a commercial offering do what Thoiron's freeware did for nothing. The $50 re-install cost of today's giveaway is a huge disincentive to finding out if things have changed. Where its pricing policy is concerned, SoftOrbits needs -- almost literally -- to go back to the drawing board. Today's developer did itself no favors with software which on install re-set any SoftOrbits products already in existence on a user's computer and de-activated their licenses. SoftOrbits never offered a credible reason why. If things have changed, then good. Less than good, however, is the commercial proposition of Sketch Drawer as a retail product. Though free today, the $50 re-install price is a no-no: the always free <b>FotoSketcher</b> from hobbyist David Thoiron has been trouncing look-alike competition for the past 10 years, and seems set to continue to do so for the foreseeable future: <b>https://fotosketcher.com/ </b> Thoiron's pioneering <i>"artwork-for-amateurs" </i>software was developed for his own use and for any happy amateur with a similar interest. Its success probably surprised even him, because many an art department professional has been captivated during its decade-long evolution, especially as Thoiron has never put any restriction on its commercial usage. One caveat does attach to FotoSketcher though: you learn as you use it, because true to its roots, it's software for someone who wants to experiment as they go along. There's no hefty User Manual, rather a single tutorial comprising a couple of pages which you can download and PDF print. Yet if anyone spends just 15 minutes duplicating that 'project' on their own computer, they're up and running and ready to create their own sketches, oil paintings or water colors: <b>http://fotosketcher.blogspot.co.uk/2013/08/fotosketcher-250-complete-tutorial.html</b> As with SoftOrbits' Sketch Drawer though, so, too, with Thoiron's FotoSketcher; you are going to be contending with time spans of minutes, not seconds, with unique creations progressively worked up from the digital palette there on your desktop, not one-click instant transformations. Your computer's capabilities, as well as the source material and what you're seeking to do with it, need always to be borne in mind. I tried out a previous giveaway of today's software only to uninstall it because it didn't as a commercial offering do what Thoiron's freeware did for nothing. The $50 re-install cost of today's giveaway is a huge disincentive to finding out if things have changed. Where its pricing policy is concerned, SoftOrbits needs -- almost literally -- to go back to the drawing board. MikeR, This SoftOrbits install also INACTIVATED all my SoftOrbits licenses. Fortunately I anticipated that and reverted to a drive image snapshot I had just taken. For now, I'll only use this (and future SO offers) with Sandboxie. Even doing that will not prevent SO's insidious ways of deactivating giveaway licenses. For now I use the Firewall to restrict SO programs from the internet. I recommend others do so as well. MikeR, This SoftOrbits install also INACTIVATED all my SoftOrbits licenses. Fortunately I anticipated that and reverted to a drive image snapshot I had just taken. For now, I'll only use this (and future SO offers) with Sandboxie. Even doing that will not prevent SO's insidious ways of deactivating giveaway licenses. For now I use the Firewall to restrict SO programs from the internet. I recommend others do so as well. Agree. I use FotoSketcher Version 2.99. Latest version is 3.20. Free and portable. Many other software like Zoner Photo Studio have effects to turn a photo into a pencil sketch. MikeR, Agree. I use FotoSketcher Version 2.99. Latest version is 3.20. Free and portable. Many other software like Zoner Photo Studio have effects to turn a photo into a pencil sketch. DavidT, I went to your site via the link provided above, and tried the direct download. I was redirected to another site asking me to download some other photo editing software instead. Now I may be doing something wrong, so if you would be so kind, please provide info on how to get that excellent program 'Foto Sketcher'. I'd rather have it instead of today's giveaway. DavidT, I went to your site via the link provided above, and tried the direct download. I was redirected to another site asking me to download some other photo editing software instead. Now I may be doing something wrong, so if you would be so kind, please provide info on how to get that excellent program 'Foto Sketcher'. I'd rather have it instead of today's giveaway. Thank you. DavidT, Think you could get this to work under a non-admin account? Installed this on my system under the admin account, now when my daughter tries to run it under her account, no go, unregistered? What is up with that? Thankfully, I'd figured from your super new-ish (?) website that France was continuing to treat you well, so seeing as I bought you a (digitized!) cup of coffee years ago now, I'll raise a glass instead -- Beaujolais, natch. To you and yours then: joyeux noël! Thanks for pointing me to the program(MikeR) and making the program(DavidT)......Plus the tip about the Photoshop brushes. I have learned to avoid anything made by SoftOrbits. MikeR and DavidT, Thanks for pointing me to the program(MikeR) and making the program(DavidT)......Plus the tip about the Photoshop brushes. I have learned to avoid anything made by SoftOrbits. Thank you so much for this referral. And thanks also to GOTD for the detour. You may have clicked on an ad rather than the direct download link. If you head to http://fotosketcher.com/download-fotosketcher/ you will see that the first download link is called "FotoSketcher full version - direct download'. Click on this and you will download directly from my server. Not sure why FotoSketcher would show unregistered on a non-admin account as there is no registration process to start with... Anyway, you could try installing FotoSketcher on your daughter's account (or run the portable version). This might help. DavidT, Got it. Thanks big time! DavidT, Well perhaps you should try doing this. During the install process, it asked for an email, then I was sent an email with a link to cut and paste for "registering" Did that under the Admin account. Logged out, logged into my daughters account in Windows 10, Program comes up, go the HELP, About, "unregistered". Log out, go to Admin, go to HELP/About, "registered", so there is the process you need to check. Are you saying that the Registration Code I received by the weblink that was part of the install process is not supposed to happen? We are not supposed to put in our email, not supposed to get a link with a registration code? I can confirm that the process you are describing is in no way for FotoSketcher. I do not ask, at any time, for an email or send a registration code. I believe you may have downloaded a different program altogther (maybe by clicking on an ad). Although I only use clean Adsense ads to avoid any potential threat, they sometimes look like download links. If you head to http://fotosketcher.com/download-fotosketcher/ you will see that the first download link is called "FotoSketcher full version - direct download'. Click on this and you will download the correct program directly from my server. DavidT, I am sitting here with egg on my face, and not sure how this conversation came to you but it is my fault. 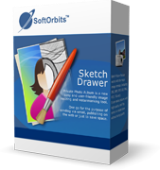 The comments were directed at the GiveAway of the day the Sketch Drawer 4.2 from Orbits. To make sure anyone knows, this is my fault, conversation ended up in an area it was not supposed to. I did download the fotosketcher for my daughter, that one worked and she loves it. DavidT, I am sitting here with egg on my face, and not sure how this conversation came to you but it is my fault. The comments were directed at the GiveAway of the day the Sketch Drawer 4.2 from Orbits. To make sure anyone knows, this is my fault, conversation ended up in an area it was not supposed to. I did download the fotosketcher for my daughter, that one worked and she loves it. I spent 2 hours on the program. It has some uses. It works best converting real photos of natural objects and construction to sketches, but even there detail is lost. So do you want a high precision sketch to the level of a painting or a few that look like a crows foot did it. I prefer high precision. It works less accurately on sculpture and models, and even less on other drawings. This would be great as a designers tool, make a model, turn it into a sketch, or have a sketch and enhance it; but it doesn't really do that. It does makes interesting detailed sketches on common photographs, but then what do I do with those?, so then its less of a development tool and more of a presentation tool with limited target. I photographed a model to see if it would hold detail in the sketch, and it really did not with much color lost. This is the other point, color is lost. I did a photo of a sketch and even more info was lost. I was hoping it might add to a live drawings but did not. It would be nice if there was an erase feature before and after application to block out an area. I remember years ago I saw a sketch done by a pro, and the lines were all vertical for the color shaded areas, same directional, and the result was amazing; the program needs to focus on more distinct styles for sketching. There are a lot of crows foot brush stokes. what about some Rembrandt quality sketches. Have downloaded this before (twice) and wont again because it reverts back to unlicensed after a few weeks. I download version 4.0 from GAOTD in May of this year and it still is registered. reenie, I download version 4.0 from GAOTD in May of this year and it still is registered. No-better-than-freeware shareware. 49 bucks? It's not funny. This software would have a better chance 15 years ago. Ootje, thanks for taking the time to give us examples. i love that you often do that!! Used previous version of this program and it works reasonably well. Would want much better than reasonably well for a one trick pony costing about $50. FotoSketcher has been mentioned, it is fast and produces some good results. Consider today's offering ridiculously overpriced, as are many programs today. Used previous version of this program and it works reasonably well. Would want much better than reasonably well for a one trick pony costing about $50. FotoSketcher has been mentioned, it is fast and produces some good results. It is available at the following link:- http://fotosketcher.com/download-fotosketcher/ Consider today's offering ridiculously overpriced, as are many programs today. This is almost 2017. No need pencil drawn sketches please. If you are architect/designer and draw sketches by pencil, it is fine. But why you would want to convert photo to sketch? Why backward? Evolve. Otherwise you will die with your XP machine dreaming about woodstock days come back. Hardgirl, You sound like my 7 year old granddaughter. When I showed her a gorgeous B+W photo from an artbook she said "It's all dark, why is it so dark?". She had never experienced a B+W visual so she had an excuse. You...? Hardgirl: aw, c'mon. Don't be a grump. It doesn't suit you. There's also the fact that quitting this life with the music of the summer of '69 echoing in one's ears, and with Windows XP shimmering on the computer screen, ain't actually that bad a way to go . . .
An absolute waste of time as no download details sent to my email address. That's now 5 out of 5 different fails to send download links so GAOTD can't be bothered to keep their eye on the ball. An absolute waste of time as no download details sent to my email address. That's now 5 out of 5 different fails to send download links so GAOTD can't be bothered to keep their eye on the ball. When I click on download-button I get immediately the downloadfile. No link, no facebook. I liked earlier Giveaway on Facebook. Tam, When I click on download-button I get immediately the downloadfile. No link, no facebook. I liked earlier Giveaway on Facebook. Ootje, do you also have discovered how to facebook and the link can bypass? the quick test rectangle is dead center and can't be moved to other parts of the image, to check the settings before full process on relevant areas. One major con, the quick test rectangle is dead center and can't be moved to other parts of the image, to check the settings before full process on relevant areas. Installed OK on my 7sp1, got the key OK. I found a version 2 years ago on my system. The default theme is terrible. Very slow processing the images I tried. Installed OK on my 7sp1, got the key OK. I found a version 2 years ago on my system. The default theme is terrible. Very slow processing the images I tried. This version 4.2 is ~1/3 quicker than the older 2.0 I have. Same image & same default settings took only 23 sec against 31 sec. adif, correction This version 4.2 is ~1/3 quicker than the older 2.0 I have. Same image & same default settings took only 23 sec against 31 sec.